Tropical Inspired Logo ideas were many with this client. The brief was for a start up business logo that had a tropical theme. The colours in the brief were blues, greens, whites and plenty of tropical trees and skies. 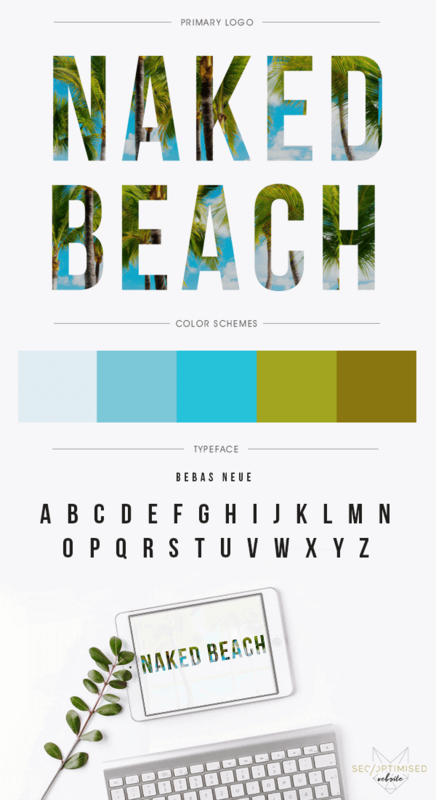 Using a tropical island backdrop and some impressive fonts, this design was a hit with our client. Ticking all the boxes as far as graphic design for a tropical logo goes, this mock up shows the fonts used and the background image. The colour schemes are shown in the mock up below and you can see how the browns were worked into the design to ensure it had that earthy feel as well as the tropics.